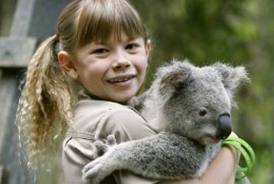 Twelve-year-old Bindi Irwin, daughter of Terri and the late Steve Irwin, has taken the world by storm ever since, well, pretty much her birth! A talented all-around performer, her many diverse talents include: singing on her own music albums, teaching fitness on her own fitness DVDs, launching her own clothing line, acting in several hit TV series and a movie, and now writing a new chapter book series launching this month called The Bindi Wildlife Adventure Series with two new books – Trouble at the Zoo, and Rescue. As an Emmy award-winning daytime actress, she has had starring roles in the popular series Bindi, The Jungle Girl and My Daddy The Crocodile Hunter and recently wowed Hollywood in her starring role in Free Willy 4. She has also been interviewed by some of America’s biggest talk show hosts including Ellen DeGeneres, Rachel Ray, and Regis & Kelly. Rounding this off is Bindi’s contributions to Wildlife Warriors, a wildlife conservation group that seeks to help people and wildlife survive and prosper in the environment without being detrimental to the existence of each other. Traveling to many different countries, her adventures will inspire all kids. AK: You’ve been in the limelight ever since you were born. What has been the most difficult part about being a famous person so young? What has been a good thing? BI: I don’t think of myself as being famous, I just feel I’m a teacher who is teaching wildlife conservation. Being well known is a way of getting the conservation message out, which is really nice. AK: You currently perform at the Australia Zoo in the Bindi and The Crocmen song-and-dance shows. You have played many different roles at the zoo. Which you like best? BI: I always love singing and dancing while teaching kids about wildlife conservation. It is so much fun performing on stage. I love it because I’m singing about making a difference and making the world a better place. AK: You’ve traveled all over the world and had many adventures. Can you please describe something that happened to you on a trip that was exciting and interesting? BI: When I was filming Free Willy I got to work with some incredible African wildlife. I also got to work with a little penguin called Englebert and he was quite the character. They used to get him to walk to the camera by putting some of his penguin friends behind the camera and he would waddle towards them. It was really very interesting working with trained animals as opposed to the wildlife I film with in documentaries. AK: What is your favorite animal? BI: I really love crocodiles and snakes but my favourite animal at Australia Zoo would have to be the gorgeous echidnas. Even though they are not the cuddliest animals in the world I love them so much because they are sweet and cute. 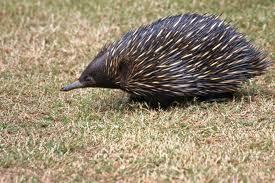 Did you know echidnas have a 17cm long tongue? It is also one of only two montoremes – which are egg laying mammals. The other is a platypus! AK: You’ve met many interesting people in your travels, including the Dalai Lama. Have you learned anything interesting from someone during these visits? BI: In Free Willy I got to work with Beau Bridges who is a very accomplished actor. When I first started the movie, I was a little nervous about learning my lines. He gave me some great advice; he told me not to worry about it and to think about reading a script the same as having a conversation, I found that really helpful. AK: Can you describe what Wildlife Warriors is and your involvement with that organization? BI: Wildlife Warriors is a non-profit organization that educates people about wildlife conservation and the environment, and the small things that everyone can do each day to make a difference. Our most important day of the year is Steve Irwin Day, which is held annually on 15 November. Steve Irwin Day is all about encouraging everyone to make a difference and, as we say, ‘Khaki It’ for conservation. Everyone can get involved, from visiting Australia Zoo on Steve Irwin Day, raising funds for Australia Zoo Wildlife Warriors, or even just spreading the conservation message. Funds can assist animals in three main ways: by protecting wildlife through the Australia Zoo Wildlife Hospital; helping endangered species through conservation programs at Australia Zoo; and through acquiring habitat and protecting these areas for existing wildlife. AK: You have just launched your new adventure series about your family and the Australia Zoo. I understand the stories are inspired by your own life adventures. Can you give us a sneak peak about what new adventures we will be seeing in this series? BI: Bushfire! and Camouflage will be in bookstores in June. In Bushfire! Bindi and her best friend, Rosie, notice smoke on the horizon. It’s a bushfire, and as the girls watch, hot winds fan the flames, spreading the fire across the national park. The girls rush to volunteer at the Australian Wildlife Hospital caring for victims of the fire. In Camouflage, the family goes to Singapore to help celebrate the opening of a new reptile park. BI: The books focus on wildlife and environmental issues and the idea that every child can make a difference given the right amount of knowledge and confidence. Reading is an important part of everyday life, not only do you get transported to another time and place but you can let your imagination go wild! I love to read, and I think these books will be another way to share with kids my love for wildlife and give them the knowledge to help make a difference in the world. These books also have Animal Fact Files – so there is a chance to learn more about the animals you are reading about. I come up with the story lines and make sure that beyond all the adventures, all the facts are correct. AK: Who have been your most influential mentors to help you become such a success at your young age? BI: I have three people that I admire most which are my mum, my dad and my brother Robert. I admire my mum and dad because they are absolute heroes and they have done so much for conservation. They inspire me and have taught me so much; I hope I can be just like them when I grow up. My little brother Robert is a wonderful brother. He makes me smile each day and I couldn’t live without him. AK: What are your future goals? Do you want to stay with your work in the animal area, pursue your acting career, writing or pursue something else? BI: When I get older, I would like to tackle bigger issues. I would like to tackle even greater issues that are troubling our planet. We have a lot of problems. The single greatest challenge we face today is an ever exploding population. There are serious issues with wildlife farming, for example, which also need to be considered. I want to carry on my dad’s legacy. I think of myself as a teacher and I know my dad was a teacher too. I’m lucky that I’m not only talking to adults, but also to children. I think it’s so important to empower kids because we are the next voters. We are the next decision makers, and we are the next generation making a difference on our planet. I will be continuing to fight to save the Steve Irwin Wildlife Reserve from the threat of being strip mined and carrying on in my dad’s footsteps. If you would like to help me Save Steve’s Place please go to www.australiazoo.com and sign the petition. AK: Do you have any advice for kids who are interested in writing, acting or pursuing careers with animals? BI: My advice is a good education and willingness to volunteer and demonstrate passion. One thing that everyone can do is not buy any wildlife products. When the buying stops, the killing can too. You can start in your backyard by locking up your dogs and cats at night so they don’t attack the native wildlife. Also – you can KHAKI IT on Steve Irwin Day this November 15! Visit www.australiazoo.com.au for more info! Hi! Thanks for reading the Amazing Kids! Magazine! 🙂 Although Amazing Kids! does not offering homework assistance, there are free homework tutoring websites that might be able to help you. 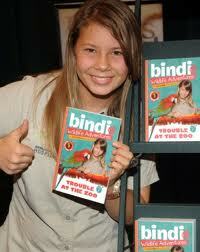 (This is an older interview with Bindi which Amazing Kids! did in 2011.) Good luck with your assignment! 🙂 Alyse Rome, Amazing Kids! In need of an answer for my assignment! !